Kenny provided the post ride snack with his homemade bread covered in honey butter. We all sat around the EQ parking lot eating bread and chillin. A great way to end the first dirt ride of the season in Corner Canyon. Brad seems really happy in this pic. It's the bread. I'm a little uncomfortable. I have personal space issues. Dug is one of the few who can pull off those shorts. It's starting to happen. Those emails. The good kind. Emails with brief bits of details like "Chevron at 4:45". Or "EQ at 4". Work schedules are quickly rearranged, meetings cut short. Every effort is made to meet up with the group. It's finally riding season again in Utah. May I recommend NOT riding up Suncrest when a storm is on it's way in. The winds were angry today. It's very white but they say white makes you look faster. 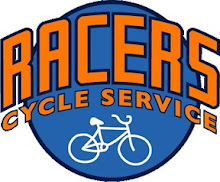 I'm down to a road bike and a mountain bike. 2 bikes. That's it. (not counting the half built cross bike hanging in Jamie's garage. That's his under the squatters rights law). Just posted this on ebay. 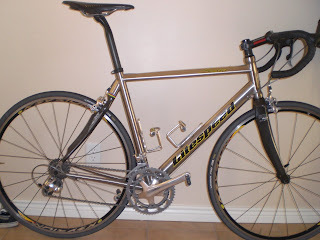 If you know anyone who is interested in a 57cm (large) Litespeed Siena, Titanium bike, lemme know. I've never tried it. I stick to knee warmers and when it's really cold, full leg warmers. But I've been reading more and more about embrocation. It's an interesting idea. And living up at Suncrest it might be useful in the early and late season. For many professional cyclists the Spring campaign is the toughest of the season; it means training from October until March in the worst, character-building weather conditions Europe can dish out. This weather and the suffering that is bicycle racing breed characters known as "hardmen". Select cyclists tackle these conditions in shorts, long sleeve jerseys or short sleeve jerseys with arm warmers, wind vests, and shoe covers. A true hardman opts to forego the knee or leg warmers and instead chooses an embrocation to cover the knees. The liniment provides warmth for the legs and keeps the blood circulating and muscles supple. Embrocation and the sheen created is affectionately known as "Belgium knee warmers". 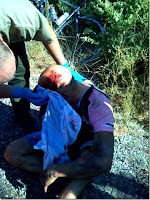 The hardest of cyclists will sport bare legs in the most ruthless of conditions. Belgium Knee Warmers are indicitive of the many subtleties that make professional cycling so enthralling. I hate carrying a lot of stuff in my jersey pockets. Hate it. So a few years ago when I saw Kenny riding with his tube, CO2, & lever in a cut off bottle I was hooked. 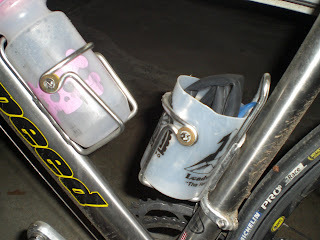 Sure it takes up one of the water bottle cages but water is heavy and over rated. It doesn't look pretty but it works great and can also be a great garbage can for your empty Gu packs. I've been riding with this set up for a while now and take some crap from my friends every now and then but I think it's catching on. 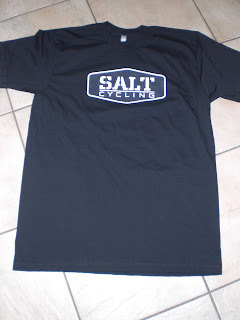 I saw this pic from the Belgium Knee Warmers site as they get ready for the Tour of California Prologue today. Changing clothes in my car has become a very common occurrence. So has peeing in the parking lot but that's for a different post. I'd guess that I change in my car just about as much as I do in my own home. And as good as I am at changing in the car, I've never attempted to change from my work clothes to my bike clothes while driving. I can't imagine what would happen if I tried that. My friend Adam does it all the time. I've witnessed it. Not the actual changing but I've watched him get in his car fully dressed in normal clothes, and then follow him in my car to the trail head, and see him pull up in his car fully dressed in bike clothes (bib shorts and all). As if he were a caterpillar who miraculously transformed into a colorful butterfly. It's amazing really. I wish I could do that. But I lack the skills. Some things are too sacred to talk about. Like this morning. I met Ben and Bill from Black Diamond for a backcountry session up Little Cottonwood Canyon. We knew they would be shutting down the canyon around 6:15am for avalanche control work, so we made sure we got past the first gate before then. We were the last car they let up before they shut the road down (which was closer to 5:55ish). Breaking trail was brutal. Luckily Ben is a mountain goat. He did most of the work. My turn to break just so happened to be at about 9,000 ft where the snow was at least 2 ft. I almost blew out a hip trying to break trail. It worked me pretty good. The higher we climbed, the more ridiculous it got. So deep. We had all of Scotties to ourselves. I probably only made 10 turns the from the peak to the car. It was THAT deep. Finished the morning off with a McDonalds breakfast. I earned these calories. Saturday morning I got a text that read "Check your mail box". I knew exactly what was happening. The Leadville 100 postcards had started to arrive in Utah. Pretty soon, I got another email and then a phone call. By 3pm, I had heard that a total of 8 of my friends had gotten in. My wife was skiing all day. I was home with the kids but couldn't check the mail since Rachelle has the only mail key on her keychain. I had to wait all day to find out if my postcard was in my mailbox. By 3:15 Rachelle called and told me she was on her way home but I was going stir crazy not knowing. I put my oldest daughter in charge of the other 2 kids, threw on my gear and rolled out for a quick road ride. Got home from the ride and found this postcard laying on top of my wallet on the kitchen counter. Time to lay off the maple bars and start getting ready. It's kind of like joining a fraternity except instead of wearing those water buffalo hats, you get to wear a cool t-shirt. There are more cool designs coming soon. This initial run was a basic logo design to make sure the fit and quality was up to standard. Available on the site now in limited sizes and quantities. This image is always in the back of my mind whenever I go downhill fast the road. Tried out the MASHer long sleeve jersey on a lunch ride today. Something about the stars that make me want to go fast. 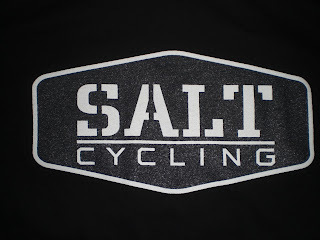 The first Salt Cycling t-shirts will be finished this week and available. Be the first kid on the block to get one. The perfect addition to your casual Friday attire. Check back tomorrow for details.